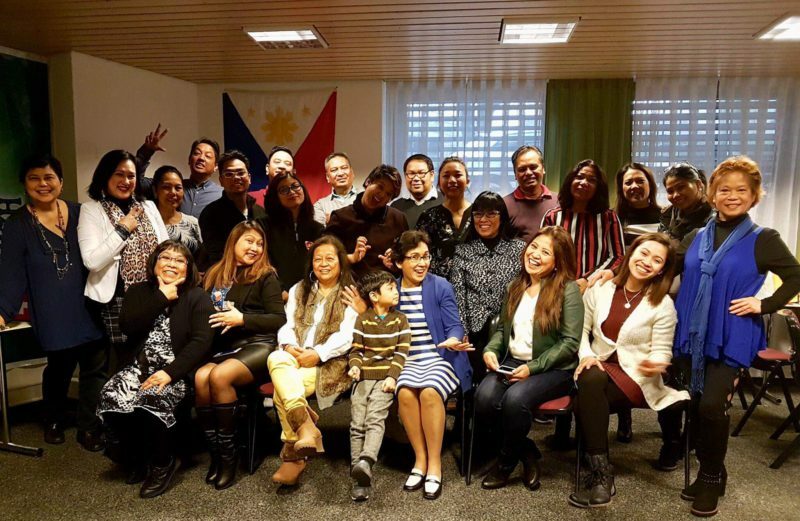 A little over two dozen Filipino-Swiss frontrunners representing YENFiD (the youth) and ENFiD made history in a remarkable get-together on the 17th of February 2018 in Zürich to learn and empower good governance across Filipino communities in Switzerland. The Effective Filipino Leadership program is an initiative of ENFiD-Europe’s Learning and Development (L&D) Committee which aims to upgrade the competencies of Euro-Pinoy community leaders. The 1-2 day program is conducted by Betsy von Atzigen, L&D Chair across the European continent. 1.Building Confidence = Sino ba ako? Rated essential among the skills discussed, substantiated and enacted during the workshop are building the leader’s confidence which stems from self-knowledge and outside influence. Who do you admire as leader? Do you network with other leaders? Do you celebrate the small victories of your community? Have you tried injecting a sense of humour in community building? 2. Setting a Vision, Goal = Saan ba tayo paparoon? As a fact, Filipinos value connection and inspiration. A leader becomes truly effective when he/she communicates and inspires the team to communicate back. Thus, communication among members does not only become a transmission of information but mainly Pinoy connection and inspiration. Communication is where leadership lives and breathes. It is where Pinoys thrive! Having embraced the top 3 generic skills, the next 3 come closest to the competency of a Euro-Pinoy leader. Do you know who you are dealing with? Are you fully aware of common Filipino mindsets, habits and traits? Amazingly, the group process of identifying the Filipino-Swiss strengths and areas for improvement came rather smoothly. Among the most powerful Pinoy qualities identified are loyalty, hospitality, responsibility, being ‘a survivor and a fighter. The areas that need serious work are stubbornness, poor communication, the ‘mañana habit,’ being opinionated and a minimalist or low productivity at work. 5. Managing Conflicts = Bakit laging may away? Perhaps the most challenging art and skill of handling Pinoys is handling conflicts, a component of highly functioning Filipino groups and likewise regarded today as opportunities to build stronger communities. Being able to detect and handle the plus and minus of the Pinoy is now regarded as key to managing conflicts. 6. Enriching Pinoy leadership with effective Host Country mindset, habits and traits = Ano ang matutunan sa Swisso? Finally, while living in Switzerland, Filipinos can embrace and benefit from the Swiss’ positive mentality and habits of punctuality (respect for others’ time as opposed to Pinoy habitual tardiness), organization, precision, honesty and remarkable discipline. The next Effective Filipino Leadership Program is on 24 March 2018 in Marinus Dammeweg 61, 5928 PW Venlo, the Netherlands. You are invited to participate. For information on ENFiD-Europe’s Learning and Development Programs, contact elizabeth.vonatzigen@gmail.com or visit http://enfid.org .